Occidental College announced the Barack Obama Scholars Program, a new full-ride fellowship for first years that aims to support first-generation students, veterans and community college transfers interested in social change, via press release Sept. 27. Barack Obama ’83, the former president of the United States, personally approved the program, which will begin supporting two students in Fall 2018 and eventually cover 20 scholarships. The Obama Scholars Program will cover awarded students’ tuition, room and board and summer enrichment programs for four years. Obama scholars will be selected from the pool of admitted students and will not fill out a separate application, according to the program’s website. President Jonathan Veitch said that while the program’s advisory council and faculty advisory board will offer input on whom receives the scholarships, the Office of Admissions will make the final decisions. “The program represents Occidental’s investment in students who aspire to become change agents but lack the opportunity to fully realize their goals,” the announcement said. Friends and alumni of the college, including Glenn and Jane Hickerson, Leif Isaksen ’62 and Aileen Isaksen, Ann and Bruce Blume and Janice Gonzales ’63, raised $7 million for the new scholarship program, according to the announcement. Veitch said that the program needs an endowment of approximately $40 million to support 20 Obama scholars in perpetuity. The expansion of the scholarship will be an ongoing process as the college raises money to reach this goal, according to Veitch. The Obama Scholars website states that future donors can support the scholarship through annual gifts. The Boesche Society, honoring the late Roger Boesche — Obama’s favorite professor — will recognize those who make smaller annual fund gifts to support the operating costs of the scholarship, according to Veitch. The program’s advisory council — chaired by Hector De La Torre ’89, executive director of the Transamerica Center for Health Studies, and Dr. Susan DiMarco, a former member of Obama’s Advisory Committee on the Arts for the Kennedy Center and parent of an Occidental graduate — includes friends and alumni of the college involved in public policy, according to the press release. Members of the council will serve as a mentoring resource for selected scholars. According to Veitch, his team pitched the scholarship to Obama’s staff following the model of the Morehead-Cain Scholarship at the University of North Carolina at Chapel Hill and the Jefferson Scholarship at the University of Virginia, both of which have similar advisory councils. “The Barack Obama Scholars Program will unleash a continuous flow of change agents eager to engage in issues that strongly and positively affect the advancement of our modern society and unite our country,” Jeh Johnson, Obama Scholars Advisory Council member and former U.S. Secretary of Homeland Security, said via press release. Veitch said that the college began considering how it could honor Obama eight years ago and conceived the idea of a scholarship four years ago. When Jeh Johnson Jr. ’17 — son of Johnson and DiMarco — became a student at Occidental, the college made progress in contacting Obama through his parents’ offices. Veitch said that this development, along with De La Torre’s aid, was instrumental in the scholarship’s establishment. After approving the scholarship, Obama asked the college to delay the program until he was out of office to avoid conflicts of interest, according to Veitch. Peter Dreier, E.P. Clapp distinguished professor of Politics, head of the Urban and Environmental Policy (UEP) department and member of the program faculty advisory board, said that although the Obama Scholars Program opens a new chapter in the relationship between the college and the president, Obama’s appreciation for his alma mater is well-established. According to Dreier, this scholarship will be a continuation of the educational vision that Obama promoted while in office. “The scholarship clearly aligns with his own educational agenda while he was president, and I think the combination of his educational policy agenda and Oxy being very much in sync with that helped to persuade him to lend his support to the program,” Dreier said. 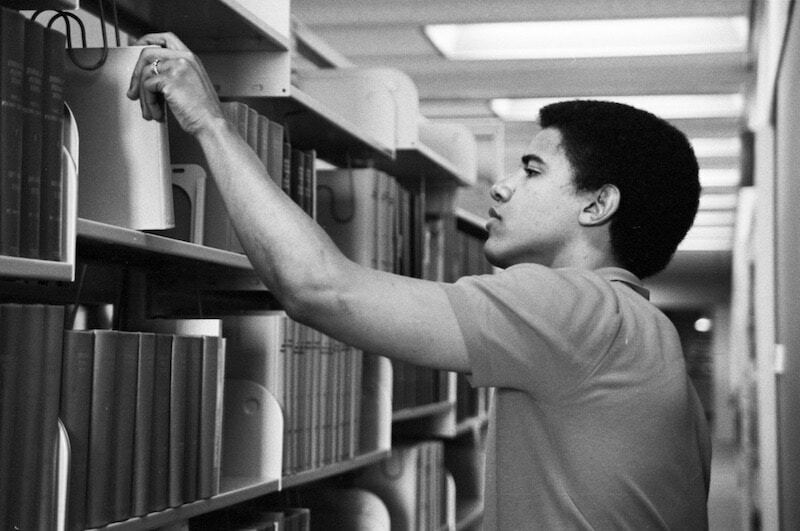 According to UEP Professor Martha Matsuoka ’83, one of Obama’s classmates, the scholarship goes beyond educational policy to reflect Obama’s organizing roots at Occidental. “I think what happened when he became president was [that he asked]: how do you take these ideals and put them into policies and into organizing and into the public dialogue? And I think that’s what he was about. I think that’s what we’re trying to train you all to do here at Oxy,” Matsuoka said. Matsuoka said that the Obama Scholars Program is similar to the former Irvine Leadership Fellows Program at Occidental. Jim Tranquada, director of communications, said via email that the Irvine Fellowship was a merit scholarship active at Occidental from 1993 to 2000 — sponsored by a seven-year grant from the James Irvine Foundation — that funded students from Los Angeles high schools with leadership potential. Matsuoka said that two former James Irvine Fellowship alumni exemplify the type of students she hopes the Obama Scholars Program will support: Lanita Morris ’00 acts as program manager of the Grassroots Organizing Institute at the Groundswell Fund, a reproductive justice nonprofit in Oakland; Carmen Chu ’00 holds the elected position of assessor-recorder for the city of San Francisco. Though they address social change from different positions, Matsuoka said these alumni share a common origin at Occidental. Matsuoka said that she hopes the administration does not lose the opportunity to create something more than just another merit scholarship to further students’ individual ambitions. “Because to me that would be the antithesis of what I think the former president would like his legacy to be,” Matsuoka said. Although Obama was only at Occidental for two years, he said in a released statement that his time at the college inspired his interest in politics and social change. “That’s why I’m so humbled by the Barack Obama Scholars Program at Oxy, and proud of its mission to identify promising young people from all backgrounds — with an emphasis on first-generation students, our veterans, and community college transfers — not only to give them access to higher education, but to train the next generation of leaders and active citizens, and fill them with the conviction that they too can change the world,” Obama said in his statement. Christopher Peel and Gabriel Dunatov contributed to the reporting of this article. Updates: This article was updated on Sept. 29 to include quotes from President Jonathan Veitch.